If you seek to enjoy your bike as long as you can, professional maintenance is a must. At KGL Racing, professionals take care of your bike, check the state of all your parts and offer you to buy motorcycle parts at very competitive prices. Our specialists also assemble your new parts. This way, you are sure to ride safely and for a long time. Endless motorbike freedom. That is what we are aiming at. 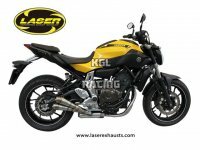 In short, you can buy any motorcycle part at KGL Racing and be guaranteed a top quality, a competitive price and a quick delivery. Many parts are in stock and can be expediated at once. Race freely through our pages before starting the engine! We are willing to bet that you will find a cool gift – whether for a friend of for yourself! And do not hesitate to contact us if you need anything!